Published Nov 29, 2019; last updated Apr 4, 2019. Few industries are as relationship-driven as marketing and advertising. In order to win new business, these agencies must qualify and follow up with new leads in a timely fashion. And in order to build a loyal client base, they need to connect with clients on a personal level and ensure the clients remain satisfied with their work. Marketing and advertising are also highly project-based industries. Each project involves a lot of moving pieces, from planning and file sharing to production and scheduling. And when you consider that each project also involves a client relationship, the importance of keeping all of this data organized becomes clear. The best way to stay on top of these relationship and project management tasks is to invest in dedicated software. Creative agencies can make great use of customer relationship management (CRM) software, as well as project management software. But how do you know which option is best for your agency? It depends on the struggles your team is currently facing and the key functions of these different software solutions. CRM vs. project management software: what’s the difference? CRM solutions and project management solutions are both valuable business tools, though they differ in their focus. Both types of software can be used successfully by marketing and advertising agencies. A customer relationship management system is designed to track information about your prospective, current, and past clients. Through centralized client data, scheduling and note-taking features, and email integrations, a CRM makes it easier for employees to connect with clients and provide effective customer service. A project management system tracks information on a project-by-project and client-by-client basis. These software solutions keep employees on task and ensure that work is completed on time. Through task coordination, productivity tracking, and communication tools, project management solutions help teams with productivity, efficiency, and accountability. In a nutshell: CRM software streamlines your interactions with clients, while project management software streamlines your delivery of final products. Understanding the differences between these software types is important when selecting and implementing one or both of them. Keep in mind that some vendors may incorporate CRM and project management functionality into one software program, while other vendors may offer standalone solutions. If your agency currently tracks clients in QuickBooks or spreadsheets, you may think a CRM is unnecessary. However, there may be some clear signs that you need a new solution. If you’re having trouble with any of the following activities, it may be time to invest in a CRM. If you’re finding it difficult to track and follow up with prospective clients, a CRM solution can help. Many CRMs offer features for automated lead collection and centralized lead management, which cuts down on time spent entering and looking up data. Not only can you easily see which leads are active, but you can score them based on their likelihood of converting and schedule reminders to follow up with them. It’s well-known that retaining an existing client is far less expensive than acquiring a new client. Luckily, CRM software helps you provide better service to your clients, thereby improving your client retention. A CRM consolidates a client’s entire history with your agency, from billing to projects to complaints, into one convenient location. As a result, everyone on your team has the appropriate context to provide top-notch service. As a marketing or advertising agency, you know how important ongoing client engagement is. However, staying in touch becomes difficult as your client list grows. A CRM solution can help to streamline this process. For instance, logging all client interactions in one place makes it easier for employees to identify those clients who haven’t connected with you in a while. Many CRMs also have email marketing integrations that allow you to quickly send targeted messages to key groups. Even if you’re great at managing client relationships, your agency will struggle if you aren’t getting paid on time. Using a CRM that integrates with QuickBooks bridges the gap between your creative work and your financial to-do’s. Create invoices in the CRM email them directly to your clients, and accept payments via a self-service client portal. When the invoicing process is simple for you and your clients, there’s a higher likelihood that your clients will pay on time. In a nutshell: If your agency is having trouble managing data related to clients or leads, it’s likely that a CRM can help. CRM software will empower you to optimize your interactions with individual clients, while also providing insights about your client base as a whole. This data can be used to refine your business operations in the long term. Deliver a superior client experience. Marketing and advertising agencies are usually working on many projects at once. Since each individual employee may be assigned to multiple accounts, careful coordination is required to make sure everything is completed on time. If your agency is looking to improve in any of the following areas, you may benefit from project management software. In a project management system, team members assigned to multiple projects can have a single consolidated dashboard that outlines all of their pending tasks. This convenient bird’s-eye view reduces the chance that a task (or a deadline) might be missed. In addition, important details about all ongoing projects can be easily accessed within the project management software. This means employees will spend less time sifting through emails and Google Docs to find what they need. Through project management software, supervisors are able to monitor employee performance and ensure that the team is moving towards a common goal. Shared calendars, time tracking features, and dynamic task statuses make it simple to see what everyone is working on. If projects do fall behind schedule, a supervisor can identify and address the underlying issues before they become bigger problems. 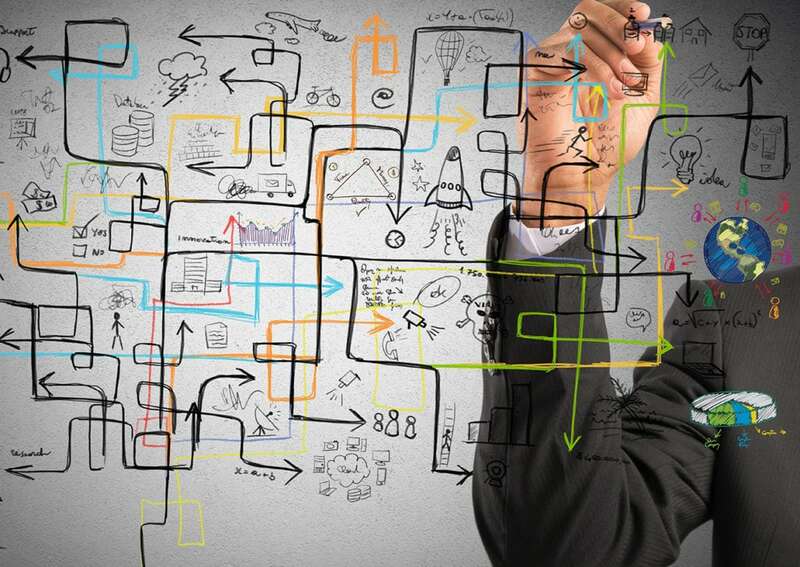 Project management solutions help agencies break down complex projects into simpler tasks. By setting deadlines for these small tasks and visualizing them in one spot, it’s easier for teams to stay on track while working towards long-term goals. Project management software also lets you create templates for common workflows. This allows employees to work in a self-directed fashion — as soon as they complete a task, they can see what comes next. Forget about manually crunching numbers in spreadsheets — or worse, having no idea what’s happening with your projects. Built-in reporting tools are a key component of most project management systems. Use these handy stats and dashboards to examine how individual projects are progressing or to take a broader look at your agency’s productivity over time. These reports can be used for everything from internal process audits to client presentations. In a nutshell: If your agency is struggling to meet deadlines or is having issues with productivity and efficiency, you may need a project management solution. But to avoid amplifying these problems, look for project management software that can be customized to suit your current processes. This will help you incorporate the software into your operations without missing a beat. Most creative agencies can benefit from the adoption of CRM or project management software. If you’re looking to streamline your existing business processes, it may be time to give one or both software solutions a try. Together, these systems can help you build stronger relationships and work more productively — and this will ultimately create the best possible experience for your clients.